This is one family's journey through ten months of pregnancy (isn't it supposed to be nine months? 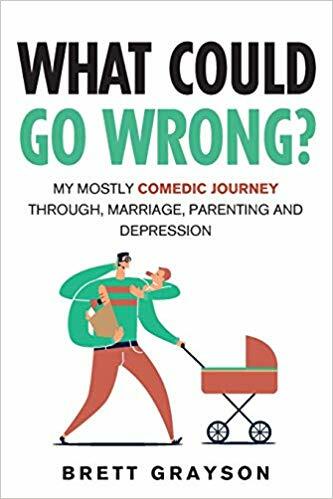 ), the first years of parental cluelessness, the terrible twos, threenagers, and the few years that follow when they begin to learn about a world that's even crazier than they are. No it isn't. Pre and postnatal complications; battles with their own mental health; and those rapidly growing and irrational miniature versions of themselves. Some of it is devastating. Much of it is overwhelming. All of it challenges them to maintain their sense of humor. And when they attempted to go on an airplane as a family... that was a sh*tshow.